The latest pet-food scare (as if the concern over grain-free foods isn’t enough) is that several brands of dry dog food have been recalled for toxic levels of vitamin D.
The FDA first alerted dog owners in early December, and it recently updated the list of recalled foods. You know what I am going to say next: If you’ve chosen your dog’s food from the Whole Dog Journal’s list of approved dog foods, you have nothing to worry about. They do the legwork, checking out the companies’ manufacturing process, documentation of the nutritional completeness of the food, quality control, and ingredient sourcing so you can confidently purchase any food on the list. The list includes foods in a huge range of prices and formulas, and many are very easy to find at pet supply stores, feed stores, Ace-hardware-type stores, and the like. You do not have to spend a fortune at an exclusive pet boutique to get quality dog food; in fact, many of the exotic boutique foods are of poor nutritional quality. Vitamin D is a vital nutrient for dogs (and humans). It helps maintain the proper level of calcium and the balance of calcium and phosphorus, according to PetMD. (Read the full PetMD article, Vitamin D Poisoning in Dogs, for more details.) Too much vitamin D, though can cause vomiting, weakness, lethargy, excessive thirst, urination, and drooling — and kidney failure and death. A Whole Dog Journal article (available only to subscribers) says that in most commercial dog foods, the problem is likely to be too little vitamin D, not too much. In addition, dogs in the same household eating the same diet can have very different levels, due to differences in how their bodies absorb the vitamin. Over time, a vitamin D deficiency can cause bone disorders, gastrointestinal issues, and some researchers are studying a possible link to immune system disorders. A blood test can measure your dog’s vitamin D levels. The best approach is to feed a high-quality meat-based food. 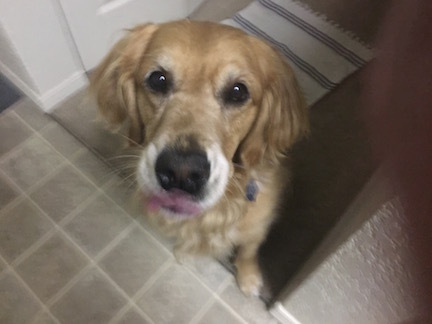 Suggestions from the Whole Dog Journal article include adding probiotics or apple cider vinegar to the dog’s meals; avoiding alkalizing foods like corn, wheat, soy, rice, white potatoes, tapioca, and peas; and supplementing with coconut oil. It’s hard to recommend a specific combination of supplements, though, because each dog’s diet and needs are different. The key takeaway is that what you feed your dog matters. It matters what you feed yourself and your family, too. But each member of the family makes dozens of choices daily about what to eat and, one hopes, over the course of a day or a week, eats a range of foods that cover her or his nutritional needs. The dog does not get to make those choices, though. He eats what you give him. The dog also probably eats the same thing every day. Some dogs eat the same food for weeks, months, even years. If that food doesn’t have what the dog needs to be healthy, there’s not much chance he’ll get it some other way. So choose your dog’s food carefully — and give him some variety by changing it up every so often. ← Is Your Dog Famous?